During the first two months of the year, Vicky and Hans come to visit Manila. 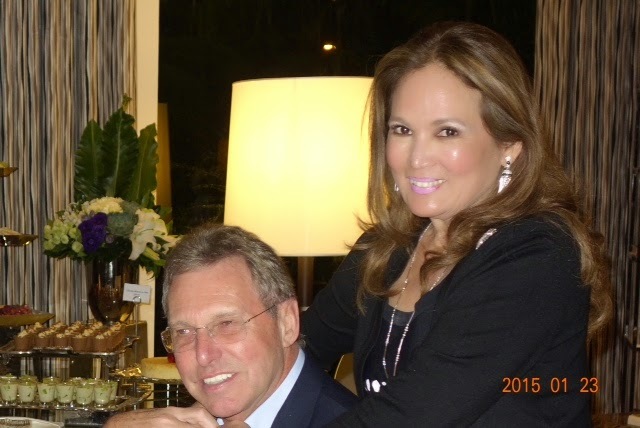 Vicky's purpose is to play in the Golden Tee Golf Tournament at the Manila Golf Club and Hans loves to take photos of the different places they go to. This year they went to Balesin Islands for 8 days where Hans indulged in his passion of photography. 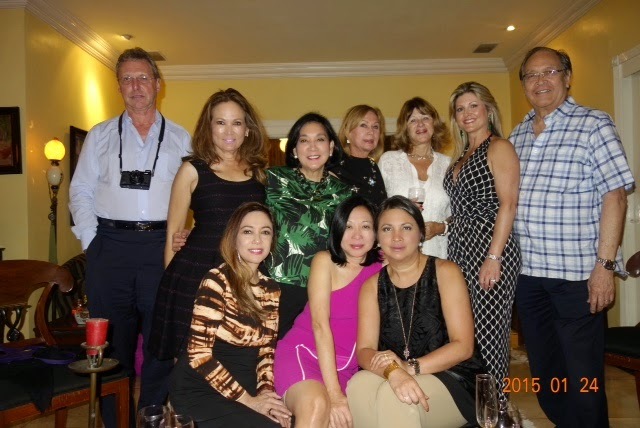 After they arrived from Balesin, they allowed their friends in Manila to host them in their lovely homes. 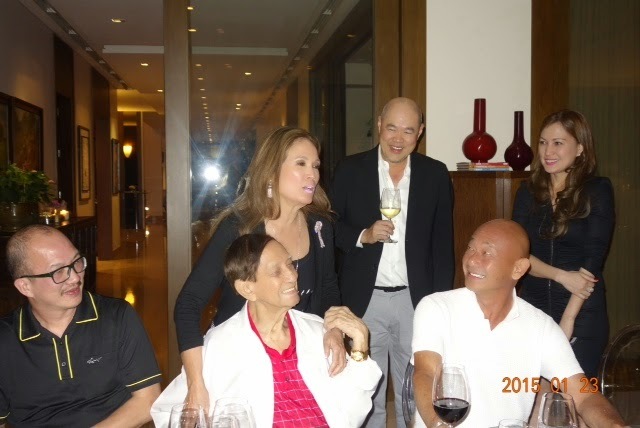 I happened to attend three of the dinner parties- the one hosted by Felix and Grace Ang, the dinner at the Zabartes well appointed home in Valle Verde and the dinner Daddy Manolo Carmona hosted at their cozy home in Urdaneta. 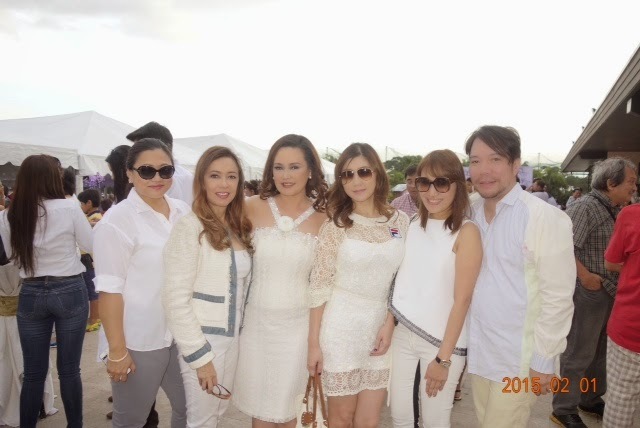 Vicky also attended a Polo match which was a fundraising for the Tacloban victims and hosted by Fila Philippines. A heartwarming highlight of their visit was a visit to Payatas in Quezon City where they joined us, the Angels to Street Kids, feed 200 underfed and sick children. All told, it was a wonderful visit for the Schmid couple. As our tourism logo goes , "It's more fun in the Philippines!" Felix and Grace Ang (standing) look on while Vicky talks about her golf partnership with Daddy, Manolo Carmona. ( in white Jacket) . My brother-in-law Steven Chan and California based Dr. Go listen in amusement. 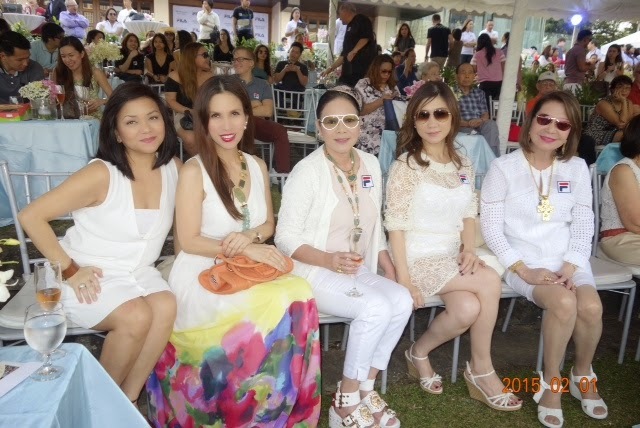 The Fila Cup at the Polo Club was attended by Manila's A listers. The theme was an all white Motif. Pretty ladies Mia Reyes, Rachel de Guzman, Ann Ong, Nikki Tang and Consul Helen Ong graced the affair. Fila's CEO Cris Albert, 3rd from left, was the hostess of the event. Left to right- A guest, Mayenne, Nikki Tang, Dr. Aivee Teo and makeup expert Patrick Rosas. Francis de Leon, Cecile Infantado, Mayenne Carmona, Ann Ong, Hera Geriene, back- Cheryl Gatmaitan, Vicky,and Hans Schmid. At the Zabartes dinner party for Vicky and Hans! 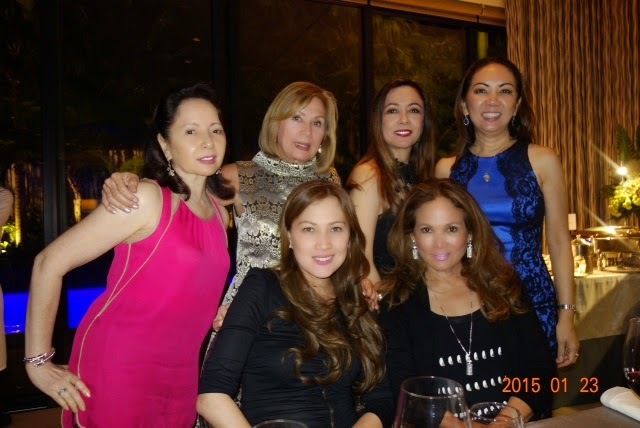 Seated; Mayenne, Doreen, Jacqui; standing- Hans, Vicky, Jojo Zabarte, the hostess, Vicky Assad, Arlette, Nicole, Henry Zabarte , the host . 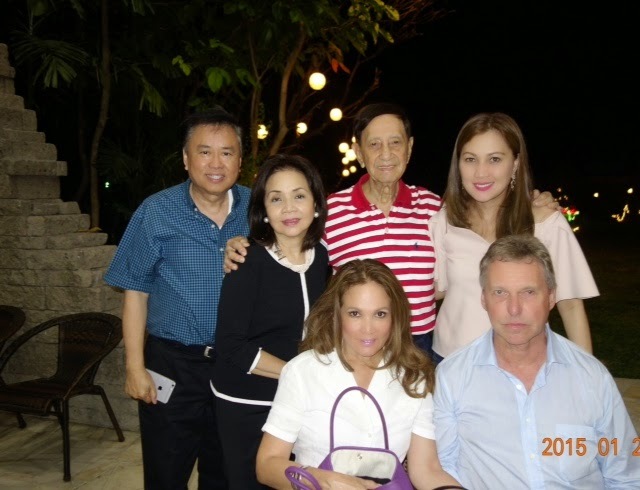 At the Carmona's residence, Daddy Manolo standing in red stripes at the back hosted Vicky and Hans ( seated in front ) and also present were my favorite Doctor, and Dr. Norman and lovely wife Biba San Agustin, visiting from New York , and Grace Ang, extreme right.